When do you charge my credit card or bank account on file? Your credit card or bank account is charged once we have confirmed property availability with our owner and you have electronically signed Rental Agreement. Generally, we do offer a 24 hour courtesy hold for guests prior to final booking and payment. What dates are considered 'holiday periods'? Holiday time periods may vary but are typically: New Years’ week, Martin Luther King Jr. weekend, President’s Week, Memorial Day weekend, 4th of July week, Labor Day weekend, Thanksgiving week, Christmas week and other special area events. These holiday periods my vary from two (2) nights to ten (10) nights, have a minimum stay requirement and will be rented at a higher nightly rental rate. Please see agent for details. You are charged a one time cleaning fee included in the total rental cost. The cleaning is only done upon your departure. Typically, we do not offer daily cleaning service, so please plan accordingly. Is the house I’m renting fully stocked with linens, dishes, towels, etc.? All of our rental houses are fully stocked with linens, towels and basic dishware although specifics from one house to the other vary. If you’d like a detailed understanding of the specific supplies at the property you have rented (such as small appliances, hair dryers, irons, etc.) please ask an agent. Do you provide personal hygiene products? No. In most cases shampoo, conditioner, soap, etc. are not specifically provided for your stay. Please plan accordingly. How about condiments, seasonings, foil, sandwich bags, etc.? Once a condiment has been opened we toss it out. Salt, pepper and other spices as well as cooking oil may or may not be there already upon arrival. We recommend you take stock of what is in the cabin at arrival before making a trip to the store. Same for disposables such as foil, plastic-wrap, “Tupperware” etc. Does the house have firewood if there's a wood burning fireplace or wood stove? We can stock firewood upon request for your stay. Please inquire with an agent for rates. Does the property I am renting have central heat and air conditioning? All of our rental homes have central gas heating or electric heating systems. We also may equip your home with additional space heaters or air fans during the more extreme seasonal temperatures. Please keep in mind that almost no houses in Tahoe are equipped with air conditioning. Please do not adjust the thermostat for A/C as it will not cool the property. Do you have non-smoking houses? Yes. All of our rental houses are non-smoking. Please respect the homeowner’s property and refrain from smoking while on the premises (inside and out). Many of our homes do allow pets. Please bring your pet only if you have reserved a house that does allow pets and you have completed the pet registration form that includes the rules concerning pets. Please do not bring pets into a house that does not allow them. This could result in additional charges or termination of your stay. Some owners will allow for pets with payment of a pet fee. Please inquire for specifics. A security deposit IS NOT REQUIRED. As a measure of convenience to our guests, Tahoe NORTH Rentals offers CSA Vacation Rental Damage Protection for a small fee in lieu of collecting an expensive but refundable Security Deposit. This Protection Plan covers you for up to $3,000 in unintended and reported damages at the property (Please see CSA Vacation Rental Damage Protection Plan area below for more details or contact an agent). However, if you choose not to purchase the Damage Protection Plan, a deposit of $3,000 would be required. That money would be due as soon as you reserve and would only be payable by certified funds. How long is a ski lease? Ski leases typically range from four (4) up to six (6) months depending on availability. Ski leases will normally start in December or January and end in May but, may vary based on you or the guest & homeowner’s needs. Tenants reimburse the owner for trash, cable TV, spa service, Internet, phone etc. but, those utilities stay in the owner’s name (except when brand new services are established for the ski lease). These utilities can be paid in full at the beginning of the lease or monthly along with rent. If a property has or does not have a desired non-essential utility service, Tenant may request a change to the service but, there will be additional fees associated with the installation, disconnection and provision of that service. This request should be made at the time of application and not all services may be available for requested change. Seasonal snow removal service and final spa dump & scrub service are paid in advance for the full term of the lease. The tenant also pays for the electricity and gas service but, those utilities are secured in the tenant’s name and paid directly to the service provider. Do I need a Security Deposit for a ski lease? YES! The security deposit is typically equal to three (3) months’ rent. Other options may be available including a smaller deposit with payment of the full term on commencement date. The security deposit will be refunded back at the end of the lease, pending any required cleaning or damages to the property. There is a minimum cleaning fee and inspection of $60.00 for checking and sanitizing the property after a ski lease group moves out. See agent for other potential fees that may vary by property. When do I pay for the ski lease? A $500.00 Holding Fee will be required at the time of application. This holding fee shall be applied to the security deposit balance upon approval of your group’s applications. The balance of the security deposit is to be paid upon approval of application or at the time of lease signing. First month’s rent and utilities are also due at the start of the Lease. Snow removal service for the term of the Lease is also due at the start of the Lease. Do you run a credit and background check? Yes. We will run a screening on at least 2 of the group’s applicants. The cost is $35.00 per applicant. In some cases, screening will be run on all applicants over age 18 in a group. Why should I buy this insurance? You don’t have to buy it but, Tahoe NORTH Rentals does offer this coverage which may be useful for your trip. You should ask yourself “Can I really afford to lose my total rental costs should something unexpected happen and I have to cancel?”’ CSA Travel Insurance can protect you from certain unexpected risks with protection for Trip Cancellation, Trip Interruption and Travel Delay. For more information on this coverage, please contact CSA Travel Protection at (866) 999-4018. CSA Insurance provides coverage for prepaid, non-refundable costs of your reservation and additional expenses you may incur for having to interrupt your trip and return home earlier than expected. This plan protects you in the event of unexpected circumstances, such as sickness, injury or death of you or a family member, adverse weather or natural disasters, labor disputes, jury duty and more. For more information on this coverage, please contact CSA Insurance at (866) 999-4018. CSA’s Travel Insurance also has trip delay coverage that may pay you up to $600 for reasonable additional accommodation and traveling expenses due to a delay of your trip of 12 hours or more. For more information on this coverage, please contact CSA Insurance at (866) 999-4018. What will the plan do for me on my trip? CSA Insurance is there for you should you become sick or injured while traveling. You can even access the 24-hour nurse help line before your trip. CSA provides 24-hour Emergency Assistance to help you with medical referrals, prescription refills, emergency cash transfer and legal referrals. The plan also includes Identity Theft Coverage during your trip and 6 months afterwards. For more information on this coverage, please contact CSA Insurance at (866) 999-4018. *Rates and coverage is subject to change. Please contact CSA Insurance for the most up-to-date information. What is the CSA Vacation Rental Damage Protection Plan? This Protection Plan is offered in place of a traditional security deposit. This plan eliminates the hassle of having to wait 21 days to get your deposit refunded following your visit and streamlines the damage recovery process. For more information on this coverage, please contact CSA Insurance at (866) 999-4018. What is covered by the Vacation Rental Damage Protection Plan? The Vacation Rental Damage Protection Plan covers unintended and reported damages at the property during your stay. For instance, if you break a coffee pot or spill a drink on the carpet, these damages are typically covered! Just report the damages to an agent when the damage occurs, as you depart or right after your stay and we’ll file a claim on your behalf. This insurance does not cover willful damage, theft or additional cleaning above the amount you pre-paid for at the time of booking. Agent may charge your credit card on file for the damages as we await a reimbursement payment for the claim. A refund could take 3-6 weeks to be posted to your card. For more information on this coverage, please contact CSA Insurance at (866) 999-4018. Is the <strong>$49.95</strong> fee for this Protection Plan refundable? No, this is a fee and not a deposit. For more information on this coverage, please contact CSA Travel Protection at (866) 999-4018. When do I need to pay for the Protection Plan? The $59.95 fee is included in the initial quote and payment is taken at the time of confirmation and booking along with the rent and other fees. For more information on this coverage, please contact CSA Travel Protection at (866) 999-4018. What if the CSA Vacation Rental Damage Protection does not cover something? If damages are not covered by the CSA Insurance you will be required to pay for the additional costs. We will charge your account or credit card at the time of check out or up to 90 days following departure. What are Tahoe NORTH Rental's policies? PAYMENT METHODS FOR RENTAL: Acceptable forms of payment are ACH transfers from checking or savings accounts, credit card (Visa, MasterCard or Discover), personal check (if received at least 60 days in advance of stay), money order or cashiers check. We do not accept cash. Please see agent for payment methods offered when booking within two (2) weeks of arrival as some methods may not be available. PAYMENT FOR OPTIONAL SECURITY DEPOSIT: If you DO NOT purchase the CSA Vacation Rental Damage Protection Plan and opt to instead pay a Security Deposit, the cost of the deposit is due at the time of booking. It is also only payable by certified funds (cashier’s check or money order). Our standard Security Deposit is equal to the amount of coverage offered by the CSA Vacation Rental Damage Protection Plan, currently $3,000 per stay. 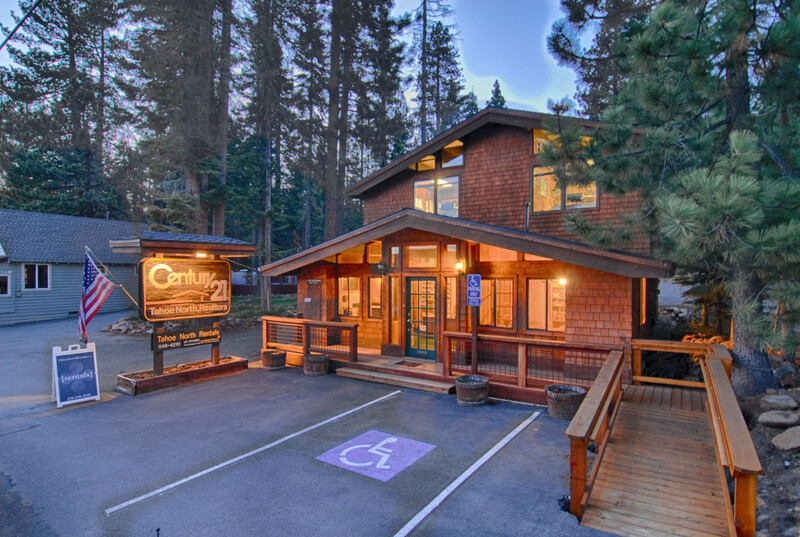 CONFIRMATION OF BOOKING: All reservations are unconfirmed until Tahoe NORTH Rentals receives electronically signed copies of the Rental Agreement and the accompanying forms. These signed documents must be returned to Tahoe NORTH Rentals within 24 hours of booking and we reserve the right to cancel a booking if those documents are not received in the 24 hour period. PAYMENT DUE: Unless special arrangements have been made, the entire balance due on the reservation will be due and payable once these documents are received by our office and upon owner approval. This includes payment of the additional Security Deposit. CANCELLATION: We accept cancellations if they are made sixty (60) or more days ahead of arrival. Refund amounts for cancellation depend on how the guest books as well. Each booking website (Airbnb.com, Booking.com, HomeAway.com etc.) has its own policy so, please review their policy prior to booking a house on another website. For direct bookings made here on our website or over the phone we offer a 50% refund if cancelled 60 or more days ahead of the arrival date. We do not offer any refund for stays cancelled for any reason (including inclement weather) unless the house becomes unavailable for some reason (see substitution policy below). Guests who have purchased the optional CSA Travel Insurance may request a refund through the CSA Travel Insurance if they have a qualifying event which causes the need to cancel (please see details above). PROPERTY SUBSTITUTION: If the property booked becomes unavailable for any unforeseen reason, Tahoe NORTH Rentals reserves the right to substitute a comparable property. LIABILITY: Person contracting the agreement is responsible for ALL guest actions in/on the property. Home owner is not responsible for any accidents, injuries or illness that occurs while guests are on the Premises or in the available facilities. Home owner is not responsible for the loss of personal belongings or valuables belonging to guests. By accepting the reservation, it is agreed that all guests are expressly assuming the risk of any harm arising from their use of the Premises or others whom the invite to the Premises.